This was the third Meridian 180 forum on central banking. The first two – The Evolving Constituencies of Central Banks and Central Banks and International Governance – took place in January and February 2013, just prior to Meridian 180’s Changing Politics of Central Banks conference in New York City. The earlier forums teased out basic questions about central banks’ roles and functions in light of the most recent global financial crisis, and began to mark out a path of scholarly inquiry. In the 2016 forum, Riles encouraged members to revisit these questions as part of a larger investigation: “how to understand the place of the state in the market and, in particular, the place of the central bank in relationship to politics in all the senses of the term.” She asked participants to present what they considered the most compelling intellectual questions and political issues surrounding central banks. Although there was considerable diversity of interests and opinions, some points of consensus emerged. Central banks are political actors by their very nature. This has been true from the start, as the production of money is a sovereign political project, not a private market affair bolstered or bounded by state law (Desan). This politics continues in contemporary forms, with projects such as collateral transformation facilities that recognize the role of sovereign debt as enabling banking beyond the state and that seek to reintegrate it in the state structure (Gabor). The political nature of central banking is now more explicit than ever. The financial crisis and the use by central banks of tax dollars to bail out private banks have “shattered the illusion that central banks and governments can make effective policy separately.” Yet they do have different roles and different tools at their disposal. Government’s power is built on tax collection and fiscal spending. A central bank’s power is built on its authority to issue banknotes. This allows central banks to operate more quickly than governments (Tanabe). Questions: Should we abandon the idea that central banks can operate independently of government (Tanabe)? Should we embrace or reject the overt politicization of finance by political leaders such as Shinzo Abe and others? Is this politicization substantially different than the longstanding power of political officials to appoint central bank leaders (Takahashi)? Although the notion of central bank independence was broadly accepted as desirable from the 1990s to the 2000s (Tanabe), it raises questions of democratic legitimacy because of the lack of direct public oversight. In particular, discretionary nature of recent unconventional monetary policies are criticized since it has theoretically established that rule based policy is desirable for the policy accountability (Takahashi). At the same time, there is an increasing lack of public trust in central bankers’ ability to avert or manage financial crises. The failure of conventional monetary tools, the use of untested alternatives, and the delayed recovery from the economic crisis have eroded public confidence in central banks’ capacity to operate effectively and independently. The credibility of central banks is further undermined by the unpopularity of bailouts (Tanabe). This is exacerbated by the emergence of alternative currencies such as e-money, which threaten central banks’ traditional monopoly on the issuance of currency (Rhee). Together these have resulted in a political backlash, as central banks have become institutions of public concern and targets of populist politics (Pistor). Antipathy and distrust can also be traced to a lack of public understanding of what central banks do, especially in moments of crisis (San Juan). The public may understand (and know how to resist) government policies on structural issues like wages, trade, and fiscal spending, but it has neither the understanding nor the mechanisms to resist monetary policies, even where those policies have strong negative effects domestically or internationally (Lim). Demagogues take advantage of public fears and frustration over economic stagnation to attack central banks as serving the interests of elites at the expense of others (San Juan, Rhee). The politicization of central banking can also be seen as an opportunity for expanding democracy. In Sweden, for instance, central bankers are engaged in a political project of nation- and region-building that involves curating a conversation with the citizenry through talk about the market. There, central bankers are aware that if they want to claim to operate on behalf of the public, they must be in constant communication with it and their policies must be “legible” and transparent (Holmes). Question: How can societies balance the need for a degree of central bank independence with a commitment to democratic legitimacy and a need to maintain transparency and public trust (Takahashi, Rudnyckyi, Rhee)? Any discussion of the role of central banks in private markets must acknowledge that “[t]he state and the market have been fused from the beginning.” It is not accurate to say that national or central banks took over private functions, nor that they can regulate private interests as truly separate entities. The “[m]odern monetary architecture” constructed by states and reliant on the liquidity provided by public debt has enabled the development of capital markets, securities markets, and money markets, and public debt continues to irrigate exchange of all kinds (Desan). For some participants, this fusion is a reason to define very sharply what central banks should and should not do. “Simplicity in central bank targets beats complexity;” a single inflation target delivers a more stable economy. Monetary policy is the most effective tool for controlling inflation, and monetary policy is and should be the province of an independent central bank. (Grimes) For other participants, the fusion of state and market requires a broader mandate for central bank activities, although that comes with risks. By relying on central banks for crisis management, politicians are abdicating their responsibility for steering the economy (Pistor). For their part, central banks tend to exercise their power in the market even after it is no longer necessary (Tanabe). Questions: How should central banks communicate with skeptical markets (Sung-In Jun)? Do central bankers have other forms of expertise than monetary policy – such as payment systems or supervisory expertise, and should they concentrate on these at this moment? Or should they limit themselves to controlling inflation (Grimes)? Monetary policy is “a discretionary art,” and central banks need to recognize that whatever they do will benefit some economic interests and disadvantage others (Kirshner). Questions: Who are the beneficiaries of central bank policies and who are the losers (Kirshner, Desan, Pistor)? How and why do certain actors come to be supported by central banks (Desan)? What kind of political or moral accountability should central bankers have for their failures or for the distributional effects of their policies (Cheng)? What and how do ordinary citizens think about these questions (San Juan)? Decisions by central banks to extend credit to private banks or foreign governments are not adequately vetted by the public, despite their distributive effects (Desan). Bank independence is problematic given central banks’ discretionary powers over how to regulate financial institutions and which private banks to rescue (Takahashi). Questions: Who should regulate central banks (Cheng, Pistor)? Is the governance structure adequate (Pistor)? How free should bankers be to make “professional decisions” or try “experimental policies” (Cheng)? If supervising and rescuing banks is “administrative business,” is the kind of political oversight suited to administrative branches appropriate here (Takahashi)? The politics of central banking is not just national. This is abundantly clear in Europe, where coordination among national central banks and the ECB creates uncertainty at both the national and international levels (Hutter). Likewise in Asia, cooperation among central banks has been shaped and limited by the geopolitics of U.S. and Chinese dominance in the region (Takahashi, Rhee), as well as by the different politics and priorities in different locales (Miyazaki). The hegemony of the dollar has serious transnational effects that are not addressed in the U.S. domestic debate about the mandate and policies of the Federal Reserve. U.S. quantitative easing floods global markets with dollars, making it hard for other banks to manage their own money supplies (Wang). 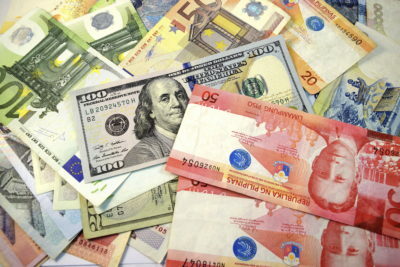 This accounts in part for efforts to create regional cooperative arrangements and to search for alternative global currencies such as the yuan. While the limited efforts at East Asian cooperation have had a stabilizing effect on the regional economy, multilateral actions among central banks and by multilateral institutions also have political dimensions. “Ironically, in order to make it non-political, We cannot talk about monetary cooperation without considering politics” (Takahashi). Yet regional or transnational efforts also have the potential to engender new ideas about citizenship and new forms of political allegiance (Holmes). Central bankers “should consider the problems that arise from their specific situations,” and scholars should take a more comparative and nuanced approach (Wang, Miyazaki). Questions: How similar are the problems faced by central banks in different countries? Can we really compare them? What are the historical, cultural, economic or political factors that make them different (Miyazaki)? What are the prospects for regional cooperation among central banks in Asia? How will China’s efforts to promote the yuan as an alternative to the dollar play out (Takahashi)? How should individual European central banks define their regulatory role in relation to the European Central Bank (Hutter)? Can the complexity and challenge of the current political moment be regarded as an opportunity for national and transnational political transformation? Central bankers are profoundly aware of the limits of their own expertise. “The old theoretical frameworks no longer function as well as they used to and the policy tools are limited” (Rhee, Lim). Central bankers know how to react to inflation (by raising interest rates), but they lack adequate tools for stimulating inflation (Sung-In Jun). Questions: How independent are central bankers intellectually even when they are politically independent (Cheng)? Does central bankers’ membership in an epistemic community, created by similar educational backgrounds and inculcation in a particular set of economic theories, limit their understanding of the problems they face, and their openness to alternative approaches and points of view (Rudnyckyi)? There was consensus among the academics and policy-makers engaged in this forum that politics, in all its dimensions, needs to become a central focus in policy debates about central banking. This is a departure from the longstanding view that central banking is primarily a technocratic, proto-scientific activity that is, or at least should be, divorced from politics. Some of the questions that emerged from this forum are research questions – points where further empirical or theoretical knowledge is needed. Others are policy questions – issues that should be at the center of national and international conversation about the architecture and regulation of the global economy. Meridian 180 plans to focus on both sets of questions with further collaborative work between international policy-makers and academics in the months to come.